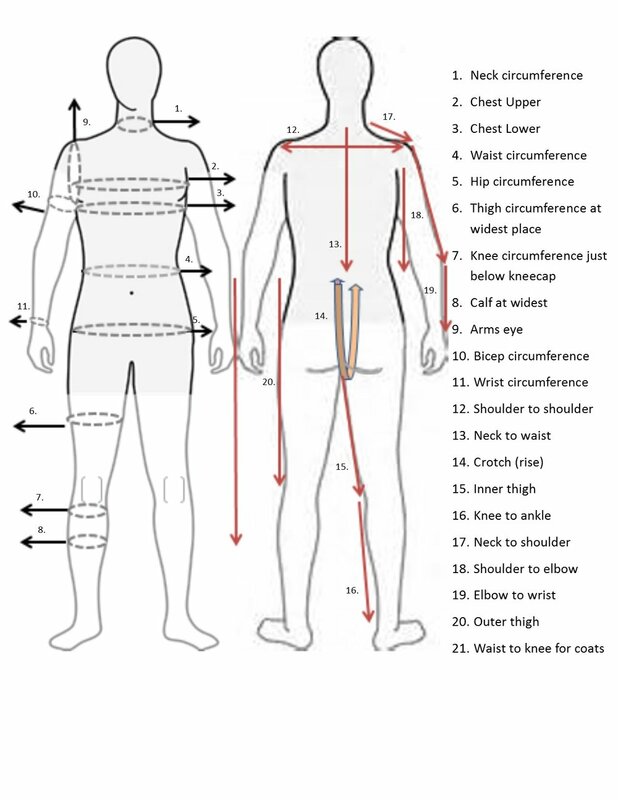 Small: Bust 32-34", Waist 24-26", Hip 34-36"
Large: Bust 40-42", Waist 32-34", Hip 42-44"
Extra-Large: Bust 44-46", Waist 40-42", Hip 47-49"
Small: chest 34-36", Waist 28-30", hip 35-37"
Medium: Chest 38-40", waist 32-34", hip 39-41"
Large: Chest 42-44", Waist 36-39", hip 43-45"
Extra-Large: Chest 46-48", waist 42-44", Hip 47-49"
Sizing for our clothing follows the body measurements put forth by the US Department of Standards. If your measurements fall between sizes we recommend purchasing the larger size, period clothing sizes down easily. Feel like you are a size that needs a special fit? We welcome your custom order! Please contact us as soon as possible to schedule a fitting, since all new projects must wait upon the completion of our existing orders. If you need an item quickly you may place a rush order for an additional fee. Please note, the items we make are one of a kind, if an item is seen online the fabric may not be available for a custom order. However, we do have many wonderful fabrics waiting to be used.